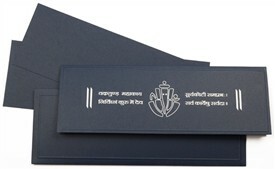 D-5867, Blue Color, Hindu Cards. 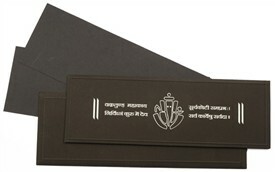 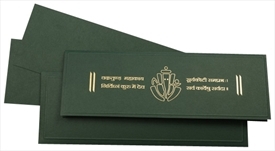 The front of this docket style card has Ganeshji printed in gold and embossed. 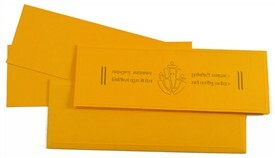 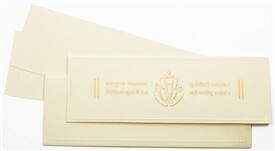 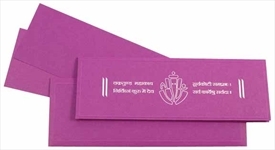 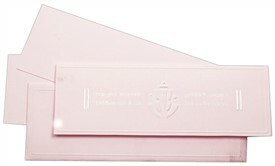 The inserts are plain while the envelope has self-line embossed border all around.